This is not another service learning program, but rather a unique civic engagement curriculum rooted in community development that taught public deliberation skills. 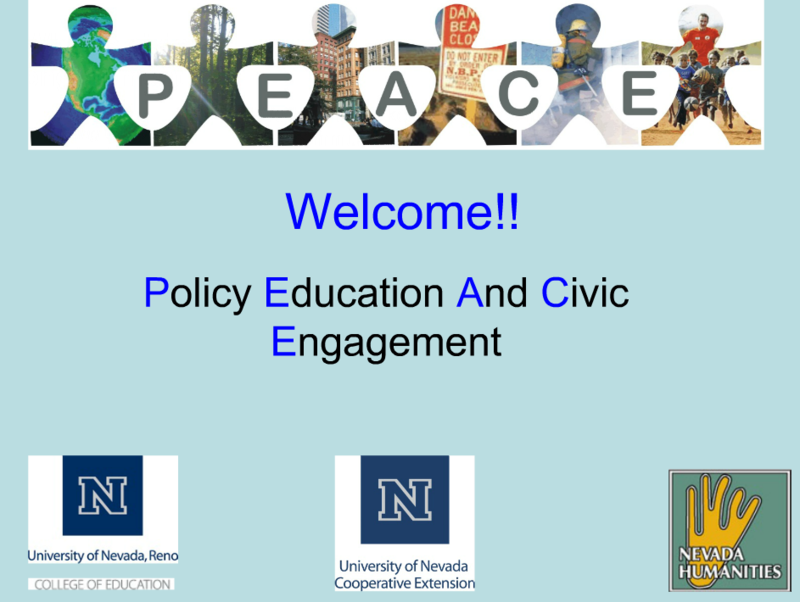 PEACE is intended to help make the process of teaching citizenship, public deliberation, and civic engagement more enjoyable and youth driven. PEACE is comprised of six lessons and designed as scaffolds where each lesson is used to build into the next lesson. Teachers and after-school providers have a tremendous impact on a student’s civic skills. Civic habits are formed from early teen years through early twenties. If the aptitude for engagement and deliberation is not formed during this critical time, the likelihood of youth participating in community affairs later in life is rare (Deli Carpini, 2000). The purpose of PEACE is to set in motion the formation of civic habits among preteens and teenagers to begin equipping them with the necessary civic skills and commitment for engagement activities.